Welcome to Roaring Fork Property, a company that puts people as its number one priority. We are a small but growing firm that has seen much success in the Roaring Fork Valley and has established itself as an ethical leader in the local real estate industry. We are passionate about real estate because it is an industry that has the ability to touch more people’s lives than any other business. At Roaring Fork Property, we have a philosophy of staying on the cutting edge of technology and marketing while never forgetting that it is the personal relationships and service to our clients that keeps us moving forward. 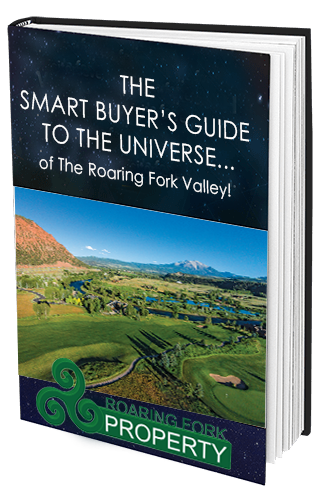 Roaring Fork Property is the real estate division of Harmony Ventures Inc., a company started with the idea of merging real estate, marketing, green architecture and residential energy efficiency under one roof. We are continually striving to keep our business endeavors up to date with social expectations and principles that we feel are imperatives for us to move forward as a society. I hope that you have a successful relationship with Roaring Fork Property and we thank you for trusting us with your business. It is our goal to assure your success both personally and financially. First Time Home Buyers: We recommend you start with the Buying Process page to give you an overview of what you can expect. Then take a look at the Tips and Checklists, and then sign up for the search features to see all the homes for sale in the Roaring Fork Valley. Experienced Home Buyers : Take a look at the Tips and Checklists page to make sure you have all the information you need to ensure a smooth purchase. Then sign up for the search features to find your dream home! Home Sellers: Check out the Home Value page first and the don’t miss the Tips and Checklists. The Competition Search page is helpful to give you an idea of what homes are currently selling for in Garfield, Eagle and Pitkin counties. You may also like to see the Market Statistics page to see the trends in our local area. Sellers in Trouble or Owners facing possible foreclosure: DO NOT GIVE UP! There are many things that you have control over that can help you make the best of this difficult situation. Check out the Short Sale and Foreclosure page and then please feel free to call Mike for additional guidance. Michael Dunn has specialized training and experience with distressed properties and owners and he is always happy to help. Real Estate Investors: The most useful pages are the Market Statistics and the Investment Analysis pages. Please feel free to contact us any time to run a customized analysis on your next prospective property. The mls search feature on the page is a very powerful tool and takes a little playing around with to get used to it. If you are having a hard time, please do not hesitate to let us know and we will make sure that you get the information that you need. Do not be afraid to create an account so you can search as much as you want. We will not share your e-mail address with anyone. The same can be said for anyone who signs up for the automatic Dream Home Finder service and Bargain Hunter feature- We will always respect your privacy. While using this site, please keep in mind that regulations and customs vary from state to state and that our expertise is limited to real estate in Central Colorado, specifically The Roaring Fork Valley (from Aspen to Glenwood Springs) and the Colorado River Valley (between Glenwood Springs and Rifle). I have lived in this area for sixteen years and know many aspects of living in the beautiful Rocky Mountain environment. Please contact me at any time if you have questions or comments about real estate in the beautiful Aspen and Glenwood Springs areas.